Nutritional Health Plans consisting of all natural vitamins, minerals and supplements are important for a healthy body, fast recovery after exercise and injury, and an active lifestyle; no matter your age. It has been proven that with over cultivated soil, GMO's and over preserved food, vitamins and minerals can be effective in proper health even in the most careful of consumers. 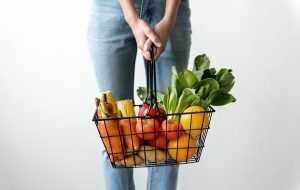 Modern food production techniques and the new culture of reliance on ready-prepared meals and snacks have left many people concerned with the quality of food that they’re consuming, especially when it comes to the quantity and diversity of vitamins and minerals in the food. The concern over how many nutrients that people are consuming these days is well-founded. Vitamins and minerals have long been known to be essential nutrients that the body requires to function properly. Nutrients are responsible for hundreds of body functions, from healing injuries to getting energy from food – being deficient in some nutrients can cause serious damage to your health! Even if you’re very careful with the food that you eat, natural vitamins, minerals, and supplements could help you to live a healthier, more active, and more rewarding lifestyle. Food production techniques are constantly changing, to the point where much of the food available to buy at the store today is very different to what it was just a few decades ago. The food culture has altered to introduce more preserved foods to store shelves, many of which are not grown naturally. Even some foods that are grown naturally, may not be as nutrient-rich as you might think! Over-cultivation of soil, where the same soil is used far too frequently, can lead to the food produced having a lower quantity of nutrients. When nutrients are removed from soil without being replaced, the nutrients in food grown in the soil are affected as well. Nutrients like protein, iron, and calcium can all be lower in food grown in over-cultivated soil. There have been a number of studies exploring the effect of over-cultivation, including one from the University of Texas, that found reliable declines in nutrients over a 49-year test period. Genetic modification of food is also a cause for concern when it comes to consuming a healthy range of vitamins and minerals. GMOs can contain large quantities of chemicals; there are concerns about nutrient alteration in GMOs and how it can impact health; and worries over the quantity of nutrients. Many overly-processed foods contain GMOs (more than 70%), which means that it’s very hard to avoid them in stores. Studies into food nutrition have revealed some startling changes in today’s food. It’s thought that you’d have to consume eight oranges today, to get the same Vitamin A amount as your grandparents did, and even foods like broccoli have suffered, today having around 80% less copper and even a quarter less calcium. Supplementing your diet with natural vitamins and minerals, and other nutrients, can give you the peace of mind that you’re optimizing your diet for good mental and physical health. Vitamins, minerals and other nutrient supplements can do wonders for your health, but not all supplements are created with the same benefits. There’s a big difference between natural nutrient supplements and synthetic nutrient supplements that can determine just how much benefit you’re getting from the products. Synthetic supplements are normally man-made in an industrial setting, and are available in multiple forms, including pills and capsules. Consuming synthetic supplements can be very hard on the body, as they’re not the same as natural nutrients. While there are some nutritional benefits to synthetic supplements, there are also major health concerns. Research into some synthetic supplements have revealed that not only are a number of the nutrients ineffective, but they could actually damage your health and increase the risk of serious health problems, like heart disease. Natural supplements are created in a very different way to their synthetic counterparts. Normally the supplements are created by extracting the nutrients from whole food sources that you would consume as part of a healthy diet. As natural supplements come from natural sources, they come will all-natural benefits. Why Is It So Important to Take Natural Vitamins, Minerals & Supplements? The body relies on a large number of vitamins, minerals, and other nutrients to survive. While only a small quantity of nutrients is required on a regular basis, the body still requires them, as it can’t make everything it needs by itself. Normally, a healthy diet would supply the extra nutrients the body needs to stay healthy, but as it’s getting more and more difficult to guarantee that the body is getting everything it needs through food, supplements can step in to provide the required nutrients. A healthy balance of nutrients helps with more effective healing and faster recovery in a number of ways. Vitamin C plays a role in collagen creation, which the body needs to repair ligaments and tendons; Vitamin D and calcium are both needed for strong and healthy bones; and protein builds a strong immune system and is essential in the healing process. By ensuring that you’re getting enough nutrients, you can reduce the recovery time after injuries. Vitamins and minerals are vital for digestion and metabolism, which provide the body with essential energy to complete everyday activities. B Vitamins and minerals are required for the body to metabolize carbohydrates, fats, and proteins, giving your body energy to survive and lead an active lifestyle. Consuming enough vitamins and minerals will help to improve your energy levels as your body is given the crucial nutrients it needs to get energy from food. Consuming the right quantity of vitamins and minerals is essential for everyone, but for athletes who regularly put their bodies under great stress, nutrients couldn’t be more important. Different nutrients will help to improve athletic performance in different ways; calcium helps with muscle contraction, sodium keeps body fluids regulated, B Vitamins help to produce energy, Vitamin D keeps bones healthy, and iron ensures oxygen is transported properly. The more active you are, the more nutrients you’ll need to keep your body in excellent condition. With the right vitamins, minerals, and nutrients, it’s possible to partially manage the symptoms of menopause and reduce how much they influence your life. Magnesium can help to reduce the number of hot flashes that you experience and lower the symptoms; Vitamin C keeps skin protected from the increased risk of lower collagen levels; and to combat the problem of reduced bone density, calcium can help to keep bones strong. Many vitamins can do wonders for reducing stress: Vitamin A has great antioxidant properties; Vitamin B provides stimulation to the adrenal glands which release hormones to reduce stress; and having good Vitamin C levels can help to stop mood swings and depression. A vast range of other supplements can also help with stress and to reduce anxiety. Between the essential roles that vitamins and minerals play, and the ability of other nutrients to improve health, ensuring that you’re getting the right nutrients will greatly enhance an already healthy lifestyle. Nutrients give you the energy to have fun and exercise, they can improve your mood, and keep every part of your body healthy. These great benefits just touch the surface of the role of nutrients in creating a healthy body and mind. Without nutrients the body simply couldn’t survive, but when you make sure that you get enough nutrients, your body can do more than survive, it can thrive. A further reason to make sure that your body is getting enough of everything it needs is the ability of vitamins, minerals, and supplements to support alternative healthcare, like massage, physical therapy, and chiropractic care. 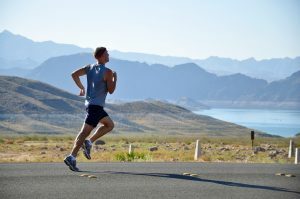 By combining supplements with alternative treatment, you can enjoy a much healthier lifestyle, recover faster after injuries, and boost your energy and performance. Many people seek out alternative healthcare to improve the quality of their life. Alternative healthcare, like chiropractic care, can reduce stress, improve the immune system, boost athletic performance, and speed up recovery after an injury. Chiropractic care can involve a number of treatments, like spinal manipulation, to target the root cause of a problem. However, it’s not just this type of physical treatment that’s often suggested when a chiropractor creates a treatment plan, in a large number of instances, nutrition also plays a very big role. In many ways, the reasons to visit a chiropractor are in-line with the ways that vitamins, minerals, and supplements can improve health. Consuming the right nutrients can support the main aims of chiropractic treatment, which is centered around achieving and maintaining a healthy body through the restorative capability that the body has, and nutrition is a large part of this. There are endless examples of how the two healthy practices – consuming the right nutrients and having chiropractic treatment – can improve your lifestyle. For athletes, supplements can boost energy, reduce recovery time and keep the body in tip top condition, whilst chiropractic treatment can lower the risk of injuries, improve body strength and assist with a healthy recovery. A healthy body, with strong bones, a great immune system, and less stress is not as prone to injury and is much easier to treat. For optimum health and well-being, great nutrition and chiropractic care perfectly support each other. 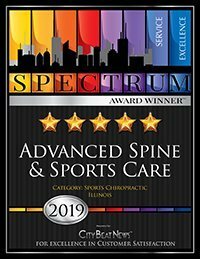 At Advanced Spine & Sports Care in Chicago, we stock an extensive range of natural nutrient supplements, designed to work with our exceptional chiropractic treatments to encourage optimum health and well-being. We take great pride in the range that we have available, knowing that our supplements are the perfect complement to healthy recovery through chiropractic care. The supplements that we carry include supplements for promoting healing and fighting off inflammation, and vitamins designed to help you boost your energy levels. We also stock meal replacement shakes that are packed full of healthy nutrients that you body needs to excel. If required, we can order supplements that can help to reduce stress and handle the symptoms of menopause. All of our supplements are natural, healthy, and completely safe to include in your everyday health routine. With the right supplements to support your body’s natural processes and the best chiropractic care in Chicago to keep your body in excellent condition, you can move one step closer to a healthier mind, body, and future.